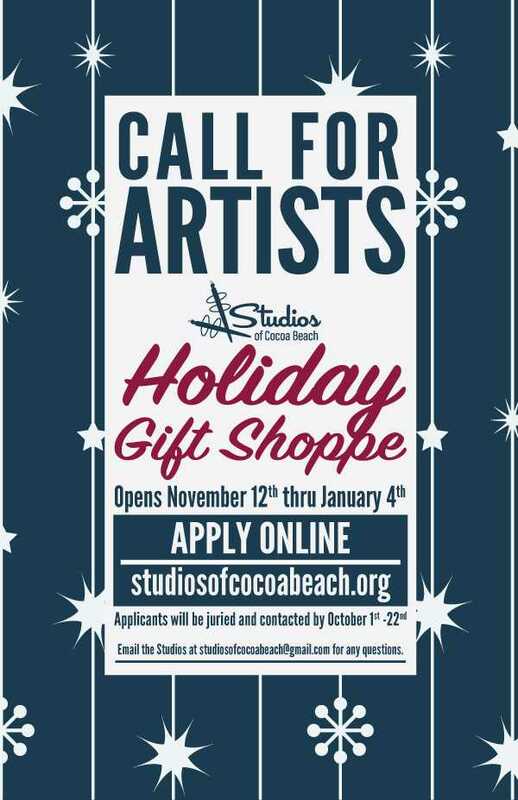 The Studios of Cocoa Beach , 165 Minuteman Causeway in downtown Cocoa Beach, is looking for artists interested in selling their wares at the Studios’ Holiday Shoppe. Items of all kinds, suitable for holiday gift giving, will be on sale at the studiosfrom November 12 until January 4. Artists can apply online at www.studiosofococabeach.org. Deadline is October 22.